Made a casserole with Seb. He loved every minute of it. 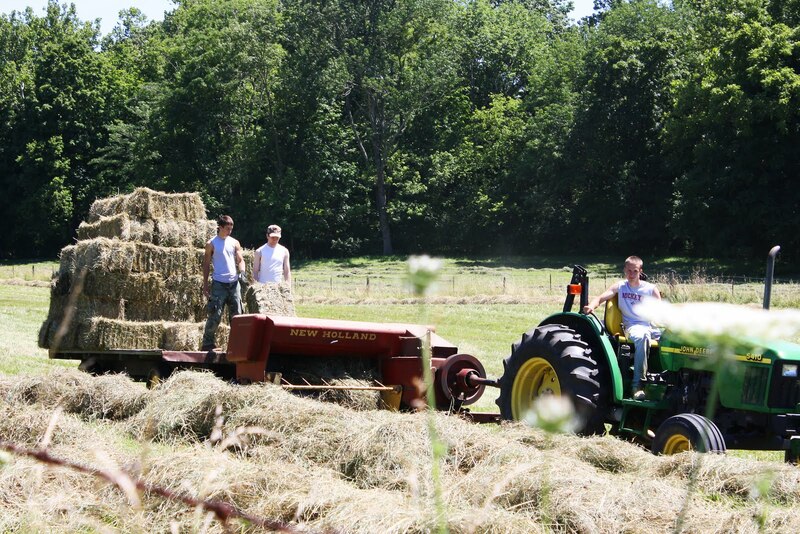 It's a beautiful summer day, and perfect for baling hay. Here, my brothers and husband working in the field. 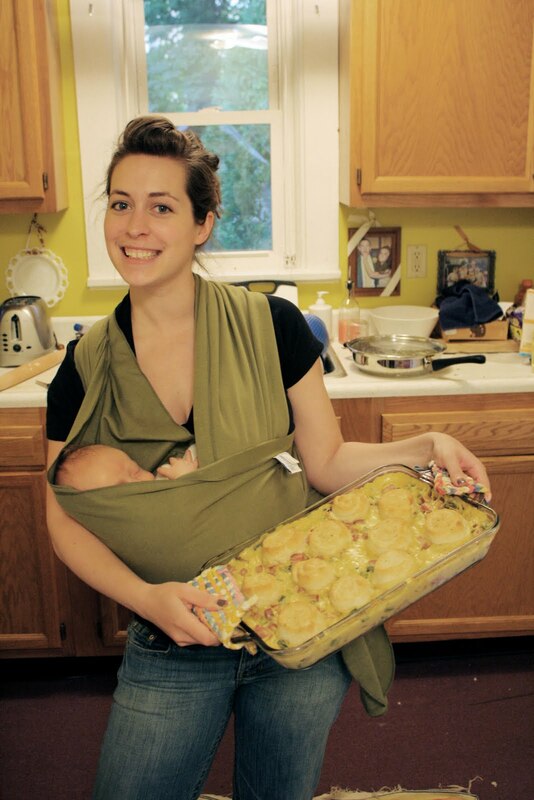 My mom and sister are getting ready for our 4th of July/meet the baby party, Dad and Uncle are unloading a wagon of hay, and I'm living the life of leisure toting my babe around in a Moby wrap. PS. Isn't this a great idea? 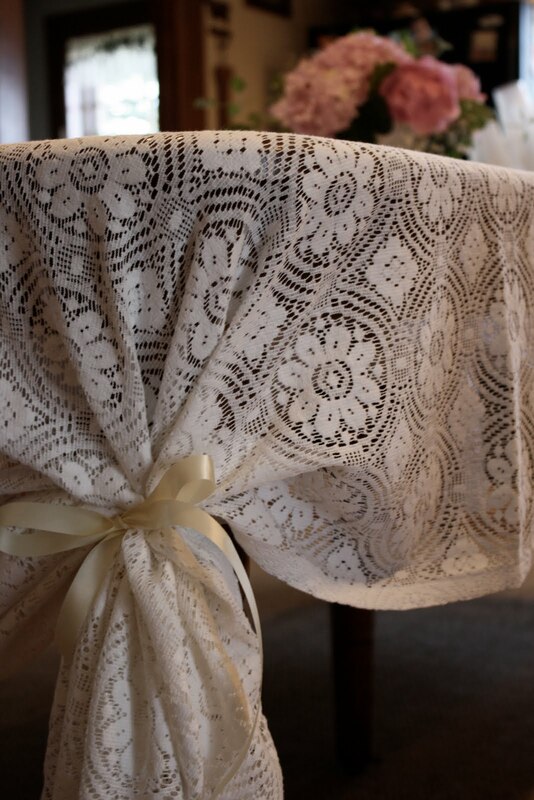 My mom didn't have a tablecloth that was the right size, and found this solution for an extra long one—perfect for a special occasion.